The U.S. 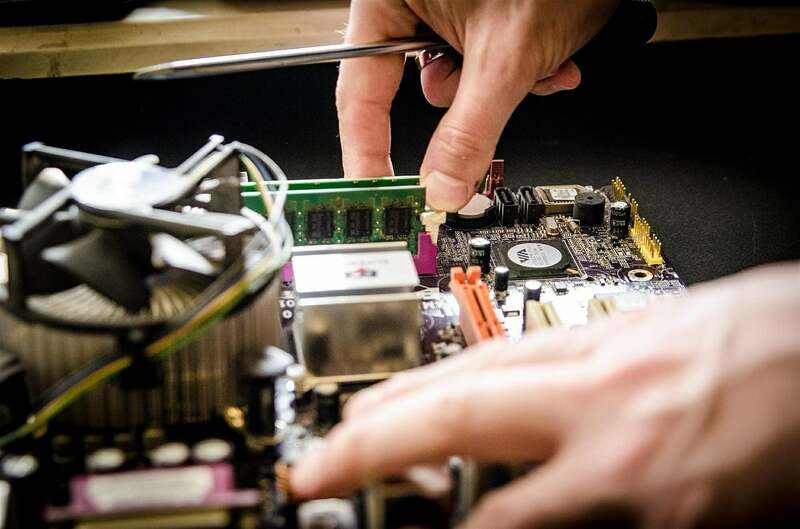 Copyright Office has come up with a landmark ruling which is good news for hackers, tinkerers, and the so-called “right-to-repair” movement, but it’s a blow to manufactures using digital rights management (DRM) protections. The ruling makes it legal to hack DRM-locked devices — if it is to repair them. The Librarian of Congress and the U.S. Copyright Office proposed new exceptions to the Digital Millennium Copyright Act (DMCA) law. These exceptions go into effect on Oct. 28, and they allow users and professionals to hack devices which use DRM to prevent them from being repaired. According to section 1201 of the DMCA, it is “unlawful to circumvent technological measures used to prevent unauthorized access to copyrighted works.” Since software is an important part of devices now, manufacturers have long used section 1201 to block owners from taking apart or repairing their devices. Consumer groups have long been asking the U.S. Copyright Office and the Librarian of Congress to include exemptions to the DMCA that would stop manufacturers from abusing the law. The U.S. Copyright Office reviews its copyright rules every three years and reveals exemptions which then must be approved by the Librarian of Congress. These new exceptions to hacking DRM-locked devices were the result of the most recent review, which was released on Thursday. Users were previously allowed to hack the firmware of tractors for repair purposes, but now, this has been expanded to other devices and machines as well. With the new exceptions, consumers’ right to hack DRM-locked devices is expanded to include repair and maintenance. The list of devices which fall under the new exceptions are smartphones, tractors, cars, smart home appliances and more. Following the ruling, it’s now legal to jailbreak Alexa-powered hardware and other similar voice assistant devices. One can unlock new phones as well, a crucial ruling for recyclers who receive unopened consumer returns. “It’s now legal for third-parties to perform repair on behalf of the owner. This is hugely important for the American economy, where repair jobs represent 3% of overall employment,” iFixit founder Kyle Wiens said. However, experts believe the new ruling to hack DRM-locked devices may not be very useful. Nathan Proctor, who leads the consumer advocacy group U.S. PIRG’s right-to-repair initiatives notes that the new ruling only gives people the ability to restore the factory settings of their devices. Making changes to the firmware is still not allowed, and hackers are allowed to break the DRM only to bring the device back “to a state of working in accordance with its original specifications,” Proctor told Motherboard. Further, the new exemptions do not apply to game console repairs, so you still are not allowed to replace a faulty CD drive on your PS4 or Xbox on your own. The latest ruling also does not allow trafficking in software tools. In other words, you can develop a tool to repair a device and others can also pay you to do the repairs for them, but you are not allowed to sell those tools. Additionally, even though the Librarian of Congress approved exceptions that make it legal to hack DRM-locked devices for repair purposes now, future Librarians of Congress may not renew some of these exceptions. Thus, it is important for consumer activists to continue their fight for state and federal right-to-repair laws. Such laws have the true power to give users the right to repair their device. They would also prevent manufacturers from blocking users’ attempts to repair such devices. Despite, the new exceptions, companies can still install technical roadblocks to make it harder for the users to repair the devices. Thus, new exceptions could be seen only as a small victory as companies can still effectively prevent users from doing it. “This ruling doesn’t make that tooling available to the public—we’re going to need actual Right to Repair legislation for that. But it does make it legal to make your own tools. And that’s a huge step in the right direction,” Wiens said.